Three communications and marketing organizations have recognized St. Mary’s University work by the Office of University Communications for web design, advertising, magazine publication and event creation. 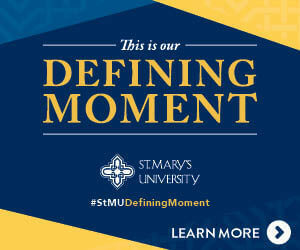 The regional competition organized by the Council for Advancement and Support of Education (CASE) — the recognized organization for communications, fundraising and alumni relations in higher education — honored St. Mary’s with the top award in its web specialty category for The Defining Moment Comprehensive Campaign landing page. St. Mary’s also took third place in the category for alumni special events for the School of Law’s Gran Final of the Henry B. Gonzalez Centennial celebrating the late congressman’s legacy. The Collegiate Advertising Awards program dished out three awards to St. Mary’s for advertising associated with The Defining Moment Comprehensive Campaign, for the inaugural issue of the Gold & Blue Law Edition magazine, and for the production of a 14-video series promoting School of Law degrees and study abroad programs. The American Marketing Association’s San Antonio Chapter also honored The Defining Moment and the School of Law advertising campaigns with second and third place, respectively, in the 2018 Marketing Excellence Awards’ education category.